While we’re sad to see Hungtai hang up the Dirty Beaches moniker, we’re sure the future will bring about exciting new music from the multi-terrestrial artist. And we’ll always cherish the drunken times we’ve shared together. Remember, to some it was just bile on the floor, but to us it was a stain in our fond memories of your intimate set. The last Dirty Beaches record, Stateless, is out November 4 on Zoo Music. 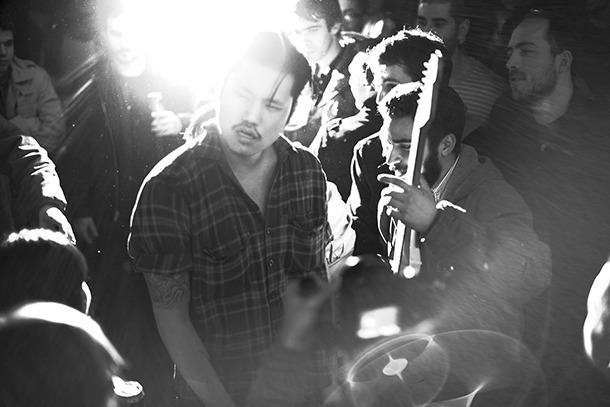 Dirty Beaches performs at the Austin Imposition. Photo by Kashish Das Shrestha.